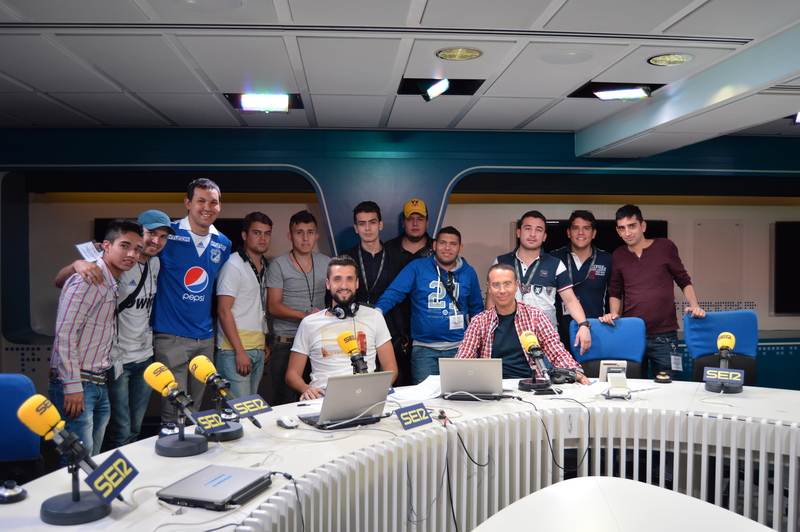 Students and professionals from the journalism in sports Colombian field have participated in the first edition of this course. This course was held in the International Centre of Excellence Sergio Arboleda in Madrid. This week is very important in the Sports field because there are many important celebrations like, the football match Real Madrid vs Barcelona, a whole journey of Champion’s league, etc. The participants have enjoyed 40 hours of theoretical-practical training centered in sports digital journalism, along with professionals highly recognized in this field. The have also attended many sport events from Spanish football league where they have been able to apply what they have learned during the week in the classroom. The attendance of the students and professionals from both countries, Spain and Colombia let them establish good connections for the future, as well as expectations for new conferences that promote even more the knowledge and mutual experiences.